Barbara-Ann Mattle ’76, ’80 (general education) is not shy about crediting her rise to CEO of Child Care Council Inc., a leading provider of child care resources and referral services, to RIT. “Everything I learned at RIT is what has helped me to achieve the success that I have had in business since then,” said Mattle. Mattle will be honored with the School of Individualized Study 2017 Distinguished Alumna Award on Oct. 13 at the Presidents’ Alumni Ball. 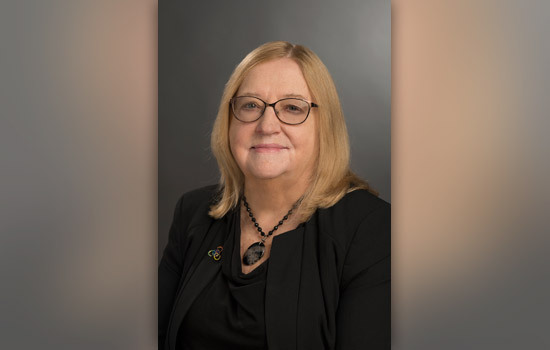 Given the choice by her parents of a college education in either teaching or nursing, Mattle chose to enter the workforce instead, coming to RIT after already having a few years of experience in business. Mattle enrolled in RIT because of the flexibility the university afforded in choosing her coursework. This allowed Mattle to go from a finance director with the Girl Scouts of America to the director of the organization that is now Child Care Council, shortly after graduation. In addition to her coursework, the challenges that accompanied Mattle as a student with a full-time job also prepared her for her new position. From there, Mattle grew Child Care Council from just her and a part-time assistant to an organization that today employs 56 employees, with three offices and a budget of $5.5 million. Each year, more than 31,500 children are cared for in licensed programs with the assistance Child Care Council. And Mattle is not yet done expanding the organization.